Fantastic Beasts and Where to Find Them, J.K. Rowling’s screenwriting debut, was released worldwide on Friday 18th November 2016. 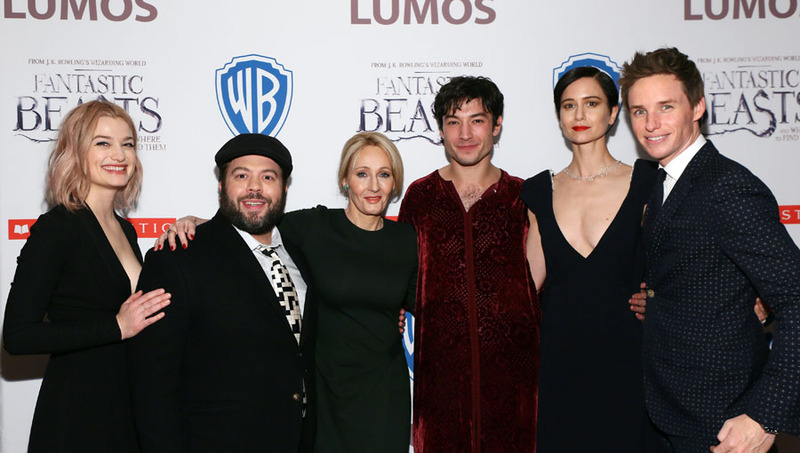 One of the most anticipated movies of the year, it was met with praise from critics, fans and newcomers to the Wizarding World franchise alike, taking almost $700million in global box office sales to date. A new and original story by J.K. Rowling, Fantastic Beasts was inspired by the Hogwarts textbook of the same name, written by the author’s character Newt Scamander, the wizarding world’s preeminent Magizoologist. The film opens in 1926 as Newt Scamander, played by Academy Award winner Eddie Redmayne, has just completed a global excursion to find and document an extraordinary array of magical creatures. Arriving in New York for a brief stopover, he might have come and gone without incident…were it not for a No-Maj named Jacob, a misplaced magical briefcase, and the escape of some of Newt’s fantastic beasts, which could spell trouble for both the wizarding and No-Maj worlds.